Keep informed about the restoration of this internationally-important monument. 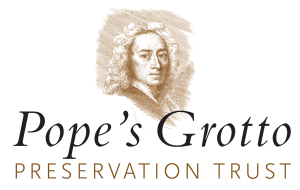 We will occasionally send out emails about progress, events and other information relating to Alexander Pope or his Grotto. Our full Privacy Notice can be found in the Privacy and Data Protection page. You will be sent an email to confirm that your address is valid and you can remove yourself from the list at any time. Pope’s Grotto Preservation Trust will not pass information you provide to any third party.